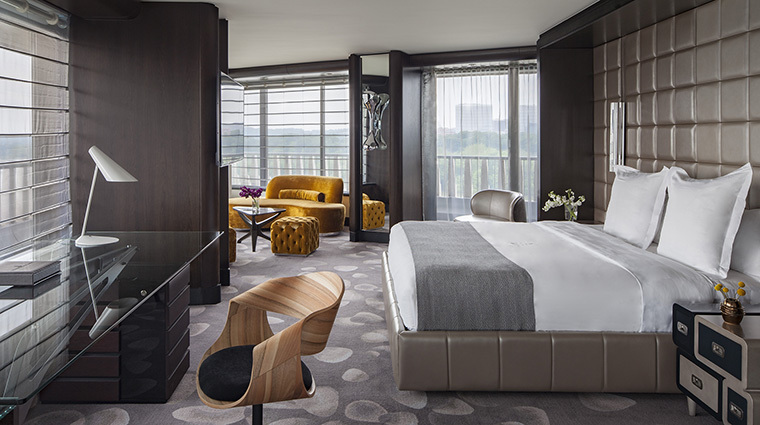 After nearly a decade of closure, Washington’s iconic property, The Watergate Hotel, is now back and arguably better than ever. In 1961, it was designed by the incomparable Luigi Moretti to look like a sail on the Potomac. 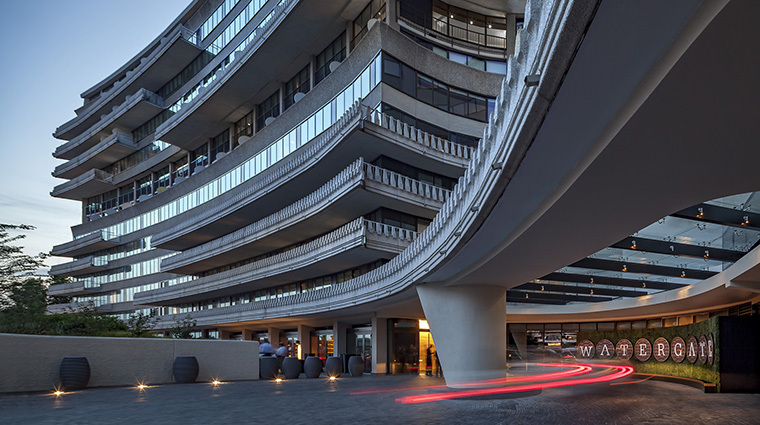 The curving lines of the Watergate building are a landmark feature of the city’s skyline, visible from many points along the Potomac River, from the Kennedy Center and Georgetown, and even from the sky when flying into Reagan National Airport. 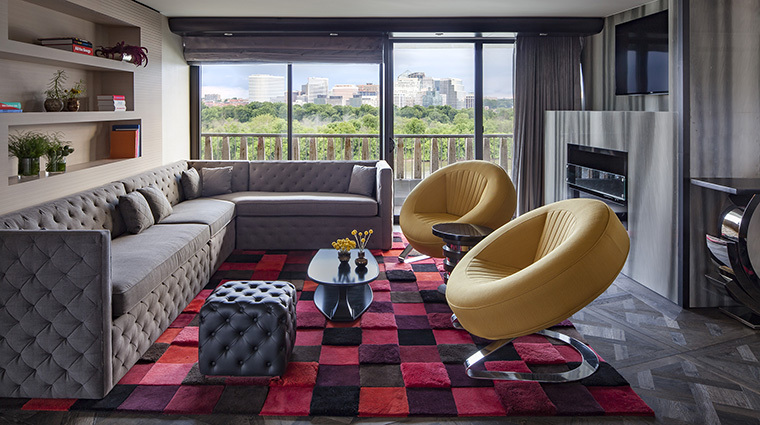 Completely revamped, the new property blends the swinging ’60s feel of the original with a contemporary aesthetic intended to appeal to the millennial traveler. 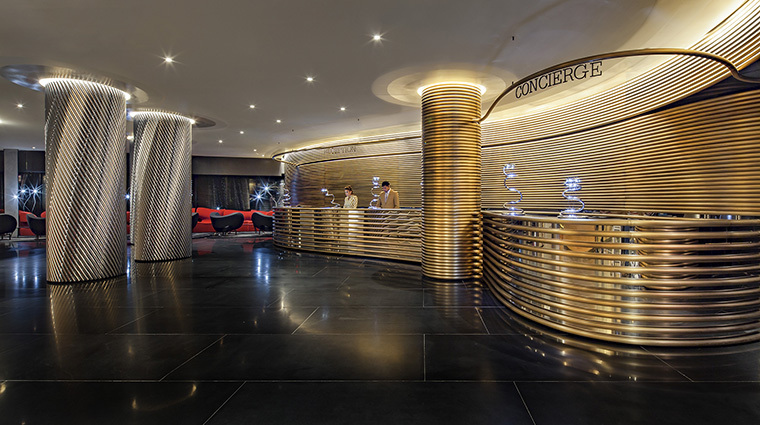 The redesign keeps intact some of the signature aspects of the space (the massive curving staircase and indoor pool) while re-envisioning others, like the custom metal of the front desk. The food is a highlight of The Watergate, with three different dining options that appeal to guests and attract well-heeled locals. Weather permitting, it’s best to start your night with a cocktail at Top of the Gate, the hotel’s massive rooftop, which boasts 360-degree views of the Potomac River, the Capitol Building and the Washington Monument. 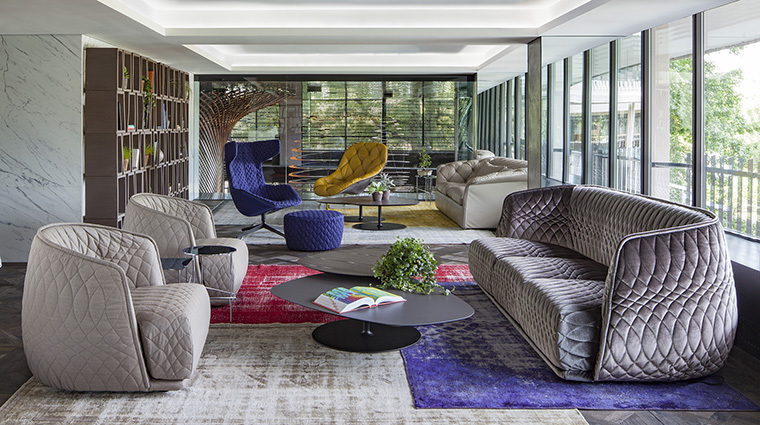 Argentta Spa is poised to become one of the city’s must-visit wellness escapes. 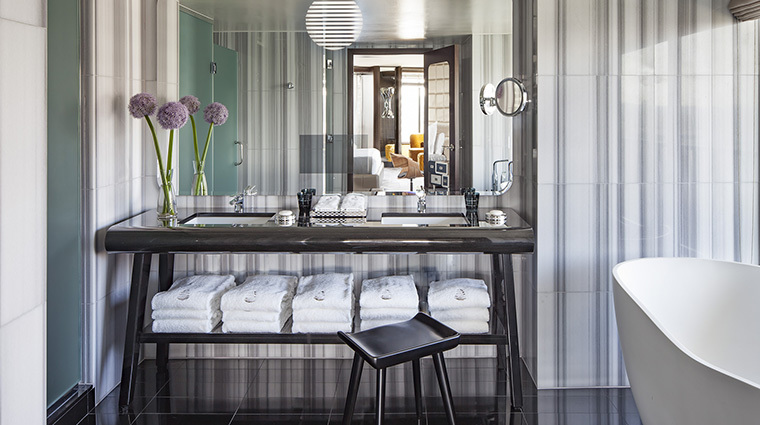 The 10,000 square-foot-spa features seven treatment rooms, all done in soothing grays and silver (to complement the spa’s name, which means “silver” in Latin). Take in the intricate, Gucci gray marble on the lobby walls and custom LED lightscape on the ceiling made to make you feel as if you’re under the night sky. 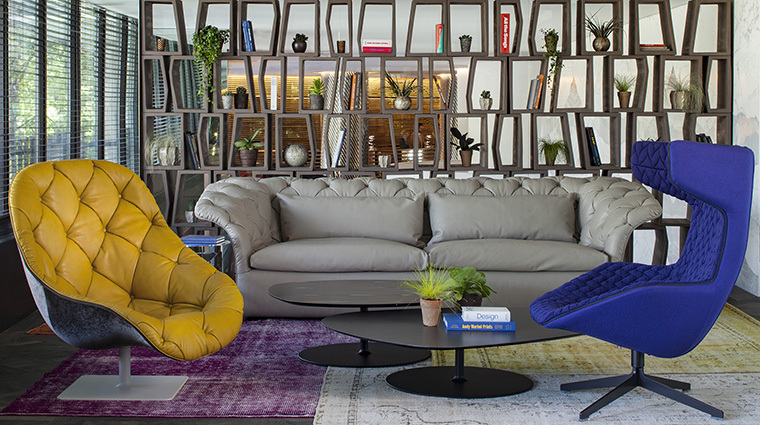 The result: A luxurious experience that feels at once modern and like it’s been there decades. 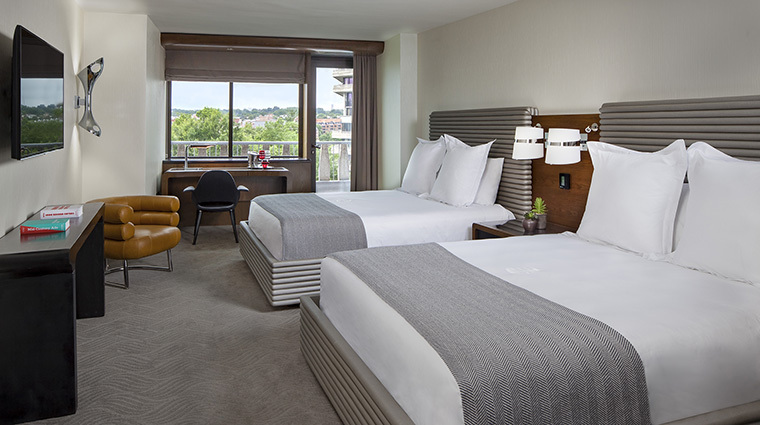 Ask for a river-view room for the best sights. The best spot in the house? Deep within The Next Whisky Bar, which curves inward and inward like a nautilus shell, you’ll find a small nest of chairs for an intimately cozy experience that’s also right in the center of all the action. Argentta Spa offers a bevy of perks, including a unisex steam room, 49.2-foot indoor saltwater pool and whirlpool, a barre studio and a spacious gym with TechnoGym equipment. 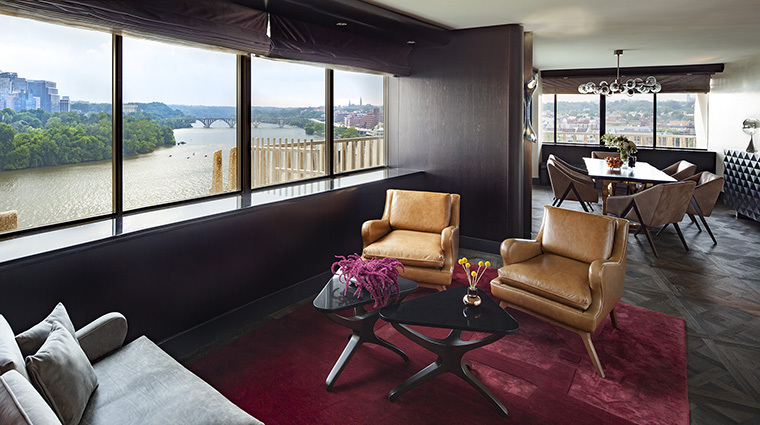 The hotel’s 336 stylishly modern guest rooms, half of which offer large curving balconies, have some of Washington’s most Instagram-worthy views. 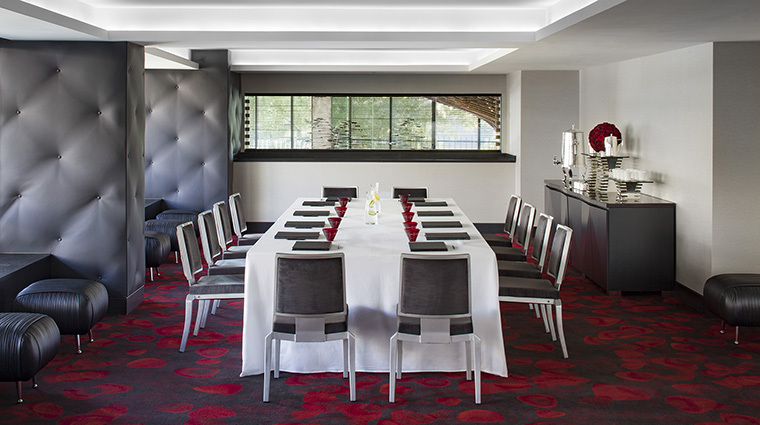 Done up in a soothing color palette of whites, grays and dark woods with pops of rich red, the rooms feature abundant natural light thanks to the oversized windows. 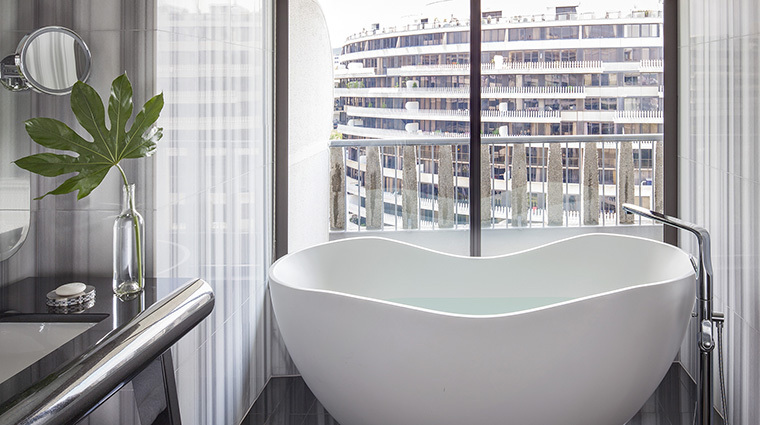 The gorgeous bathrooms have floor-to-ceiling Zebrano marble, custom La Bottega amenities and diffusers emitting the hotel’s signature Red Flower Oakwood scent, including small tins of bath salts (ideal for a relaxing soak in the oversized deep tubs). Don’t miss a peek inside the closet, even if you’re the type to never unpack. We love the custom umbrellas from Mad Men designer Janie Bryant — they feature fashion sketches of the staff’s retro-chic uniforms. 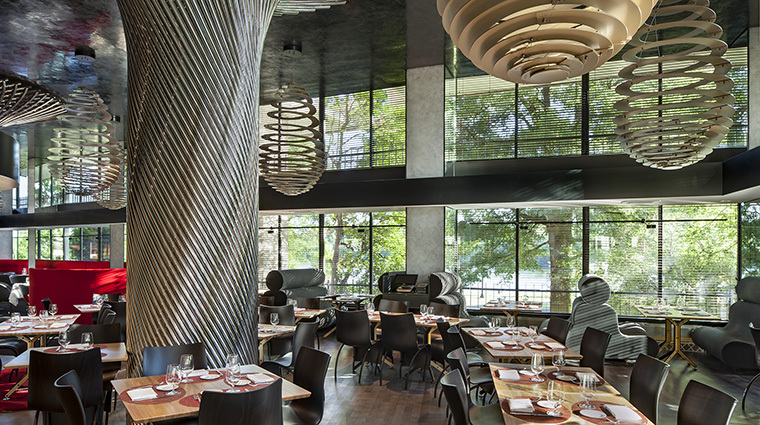 When it comes time for the main meal, pop to Kingbird, the all-day American restaurant at the luxury hotel. Try the young chicken and liege waffle — a spinach and pancetta waffle topped with chicken, roasted foie gras and peach agrodolce. Chef Michael Santoro has envisioned Top of the Gate as more than just a spot for cool cocktails — it also serves up Asian street food and grilled items from one of the city’s only robata grills. In the cooler months, The Next Whisky Bar is a hot spot to sip something that warms you. 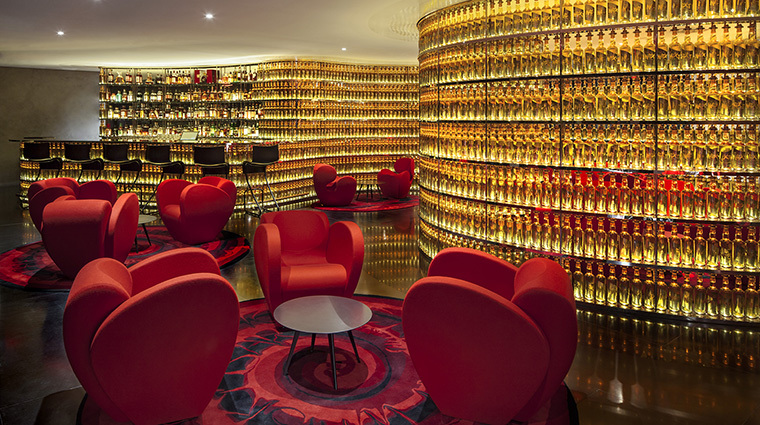 Nestle into custom-designed Ron Arad red chairs and order from the extensive list of whisky, bourbon and ryes.